International Journal of Research in Health Sciences,2017,5,1,10-13. 1Professor, 2Junior Resident, Department of Pathology and *General Surgery, Jawaharlal Nehru Medical College, A.M.U., Aligarh, INDIA. Primary extrahepatic hydatid cysts are rare, and primary splenic hydatid cysts even rarer. Splenic hydatidosis constitutes 2% to 3.5% of all hydatid cysts. 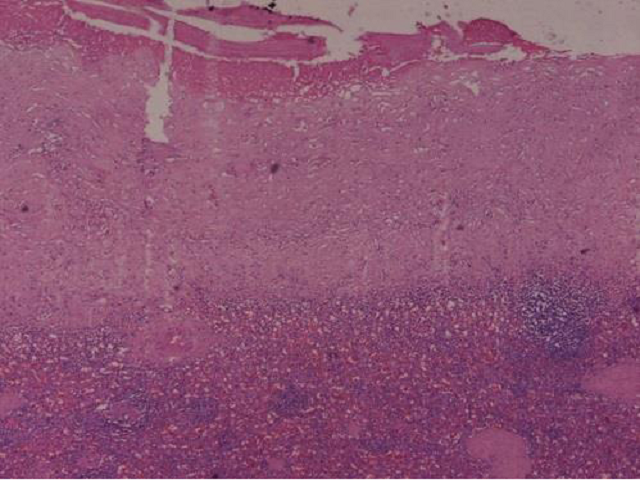 We report here a case of isolated splenic hydatid cysts in a 23 year old female, who presented with dull dragging pain in the left hypochondrium. Diagnosis was made on ultrasonography and microscopic examination of the laminated hydatid cyst wall and supplemented with positive enzyme linked immunosorbent assay for hydatid antibodies.